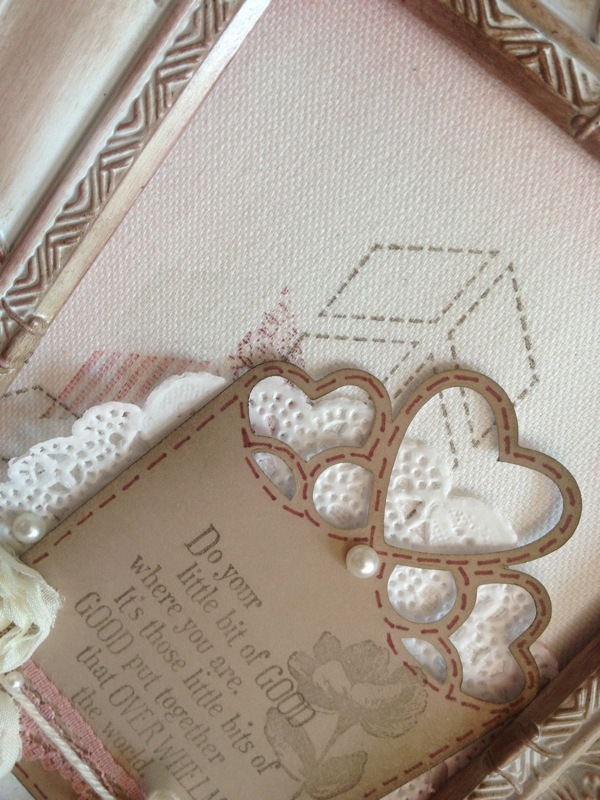 When I saw the new ARTISAN EMBELLISHMENT KIT in the Seasonal Catalogue from Stampin' Up!, I thought that it was really beautiful. Almost too nice to pull apart, but that thought didn't last long. Firstly, the range of colours is pure Vintage and the laces and other embellishments are delightfully varied in shape and texture. What to make that would display all these lovely products, was the biggest question. I also wanted to try stamping on the new CANVAS CREATIONS - blank canvas sheet (p. 21 of the Seasonal Catalogue) It is so much fun seeing the results from stamping on a textured surface as you never quite know what the outcome will be. 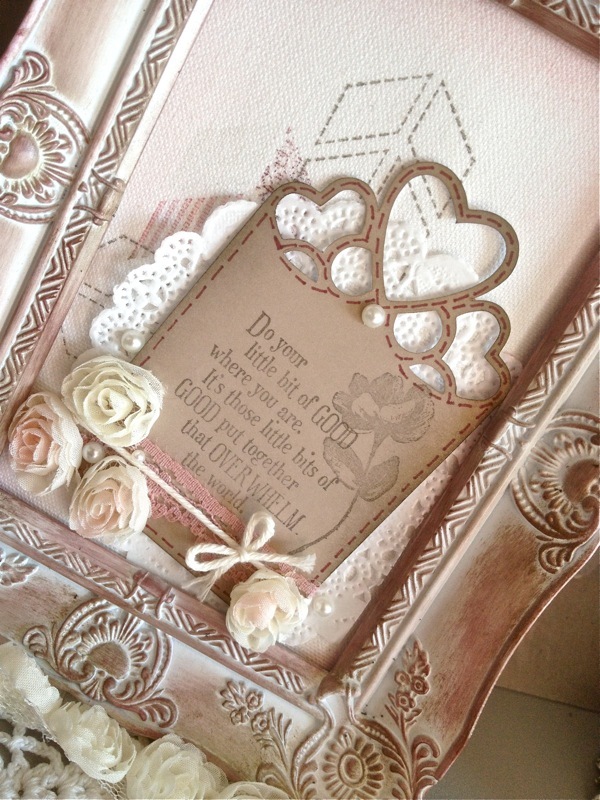 I found this old frame that made the perfect base for a "picture" and started by stamping some images from OH HELLO stamp set. 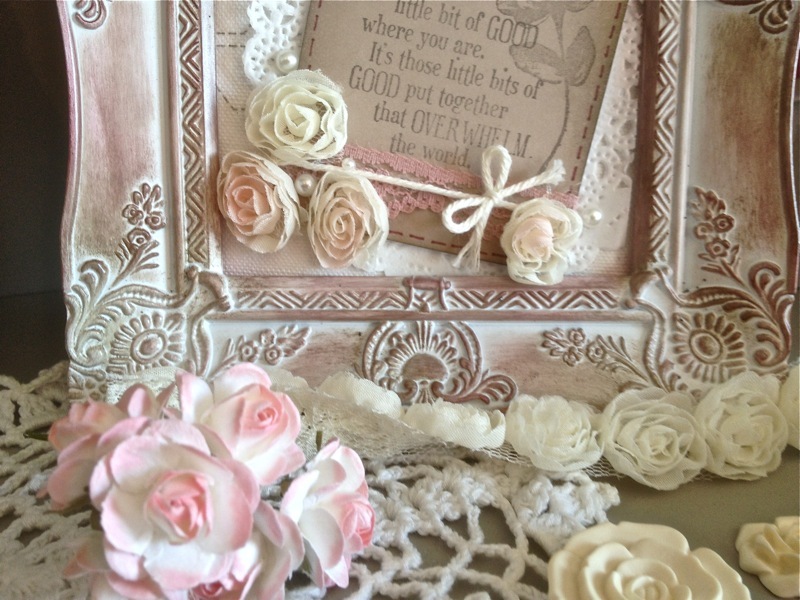 I used the card backing from the lace because it has such beautiful cut outs at the top, and layered it over a doily before adding a couple of tinted individual flowers from the FLOWER TRIM. You can see the gorgeous texture of the canvas in the detail photo. And the finished product looked odd in a white frame so I sponged the frame very randomly, with brown and pink ink. A lovely idea, Ann. So soft and inviting, and feeling like home. 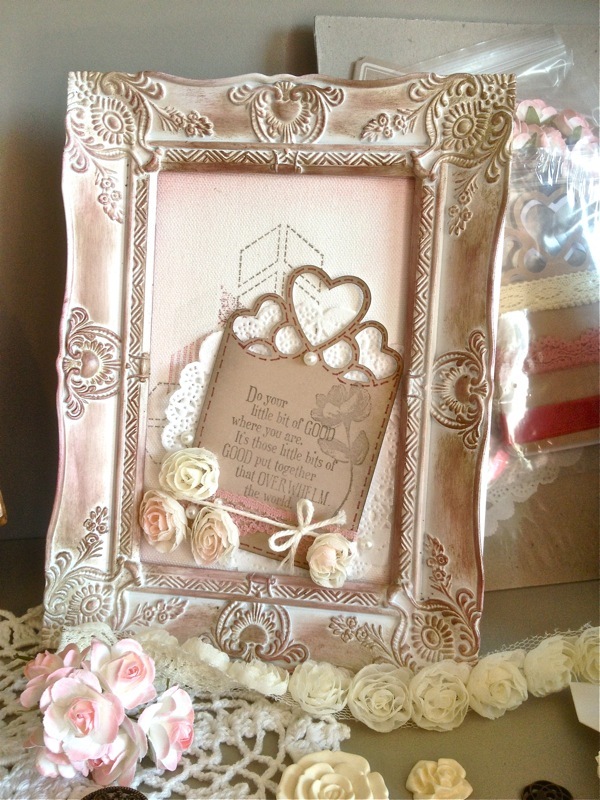 I would like to make a frame like this - really beautiful.